Face masks. I love them. I have them as a part of my skincare routine at least twice a week and though I have my favourites, I love trying out new ones too. 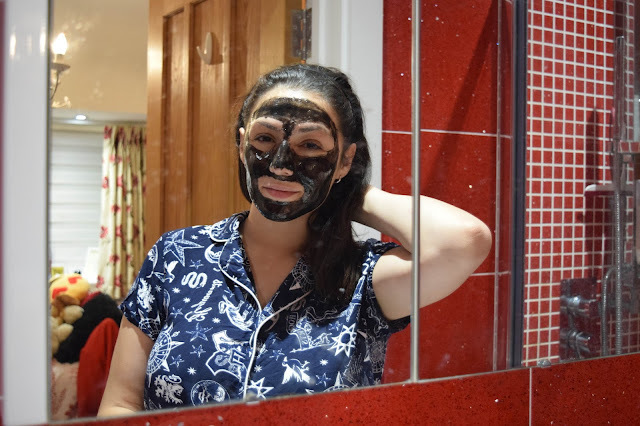 This week I tried out the new Charcoal Peel Off Mask* by my favourite face mask brand, 7th Heaven. 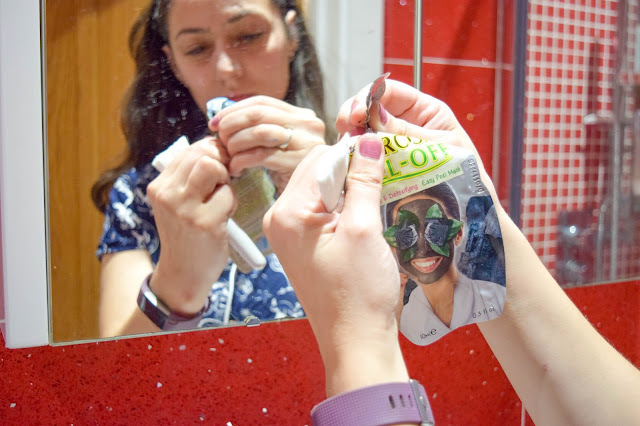 Peel off masks are not my favourite, but I do see the benefits off them. 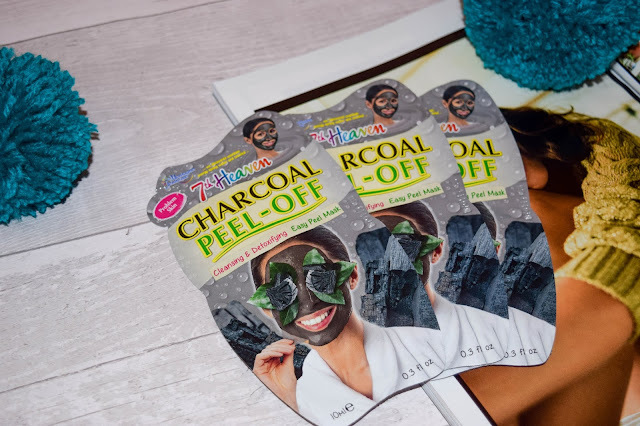 I like that they are easy to use and are removed with ease but at the same time I find that for me, they don't dry enough in certain areas and I feel more refreshed and cleaner using fresh face masks or mud masks. But my preferences aside, how did this peel off mask do? 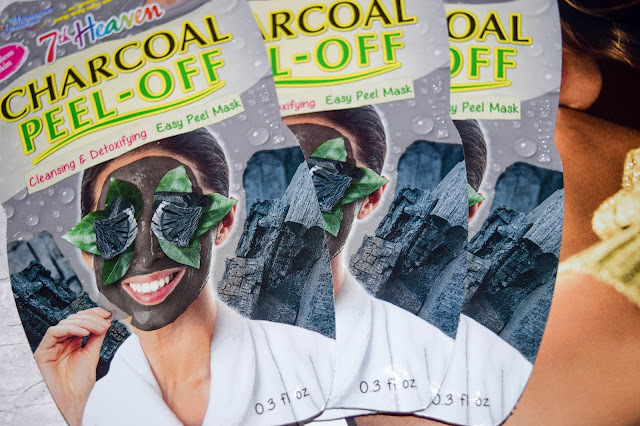 The Charcoal Peel Off Mask* is aimed for individuals with problem skin. It is said to cleanse and detoxify skin and though I don't have problem skin, I needed something detoxifying recently so this fit the bill. They come in the iconic individual use packages and I applied mine with a face mask brush for an even coverage but you're absolutely fine applying it by hand too. To me, the face mask doesn't smell of much. A hint of freshness but that's about it. I love a face mask that smells good so this is important to me. No one wants a face mask that doesn't smell right right under your nose! The mask is a black thick consistency and as mentioned before, I applied it with a face mask brush to apply it more evenly. I did find this was hard to keep consistent though and I felt I had some thinner patches but I think I did a good job so far. I applied the mask to my clean and just cleansed face to ensure I would get the maximum benefits from it's use too. When I was done, I let it dry for about 15 minutes because my cheeks seem to never dry with these masks. After the the time, the hollows of my cheeks were still wet with product and feeling quite cold. This is common for me, a consistent reason as to why I prefer other masks. It felt nice on the skin though, it didn't itch or irritate and I felt extremely pampered. Peeling it off was a good experience too. Most of it came off clean but of course the hollows of my cheeks did not instantly. I liked how I felt instantly fresh faced and pampered. Despite most of it being removed like a sheet, I still had to wash my face to remove the last of the mask. 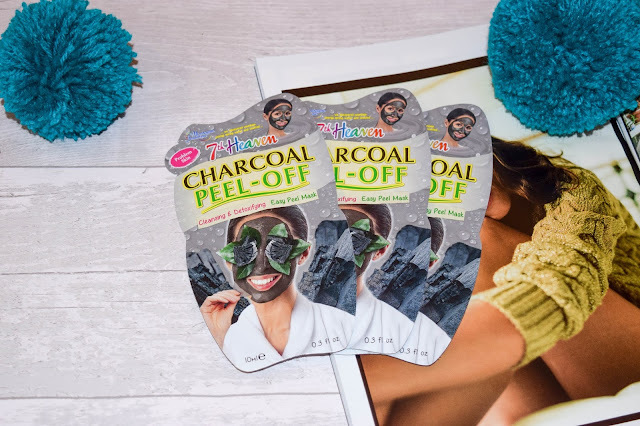 I think you know after reading this that I would definitely recommend 7h Heaven's Charcoal Peel Off Face Mask*. I've always enjoyed the brand and I think this is a great product for on-the-go or for a quick pamper session. It's easy to clean up and works like a charm for that instant cleansing feeling. 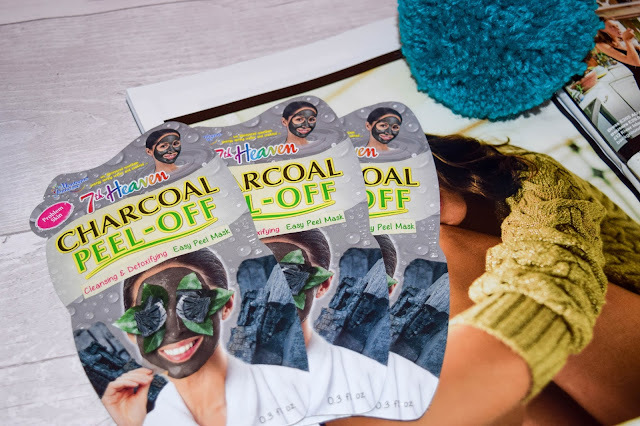 Have you ever tried 7th Heaven's Face Masks before? Which one is your favourite? At the moment mine is the Dead Sea Mud Mask.